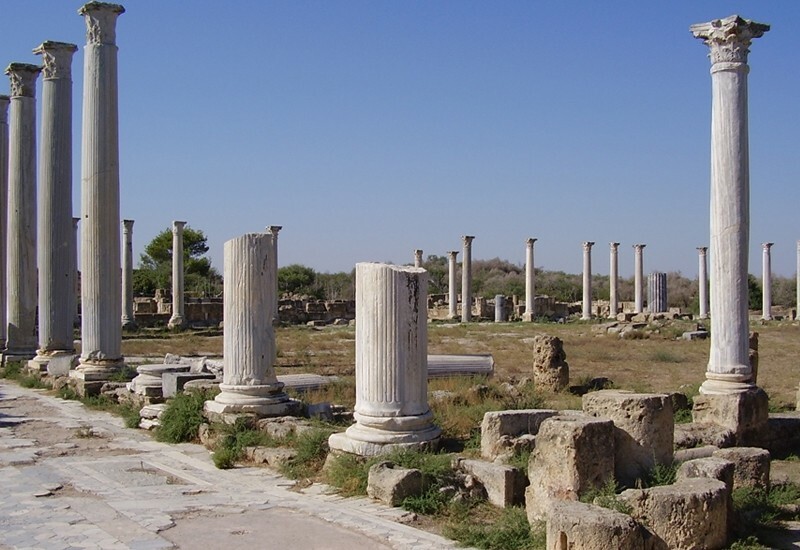 Located in the southern coast of North Cyprus, Famagusta has a lot to offer. An old town with charming, narrow streets, and an impressive number of historical treasures with beautiful, sandy beaches. Famagusta – originally founded as a small commercial port and fishing town, flourished in the 12th Century and became an important trading center between East and West. In the past it claimed to possess nearly 365 places of worship and numerous palaces belonging to the nobles of the ages, belonging to the most prosperous cities in the Mediterranean. Among the churches of Famagusta, the St. Nicolas Cathedral, crowning cathedral of the Lusignian Kings, remains as a particularly fine example of Gothic architecture. Soon after the Ottoman conquest in 1571, an elegant minaret was added to this cathedral and it was converted into a mosque and renamed after the commander of the Ottoman forces who conquered the island, Lala Mustafa Pasha. The Venetian walls surrounding the historic city are one of the best examples of medieval architecture still existing today. The golden sandy beaches of the bay of Famagusta are well known through the world.